This original acrylic on canvas is for sale unframed. 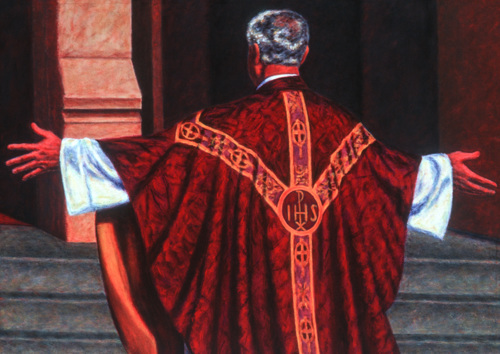 This painting is from in front of the church after Sunday mass with the father greeting his flock, although the flock is not there. Born and raised catholic this painting has a special meaning to me. 9" x 12.75"11" x 15.5"13" x 18.25"15.25" x 21.5"